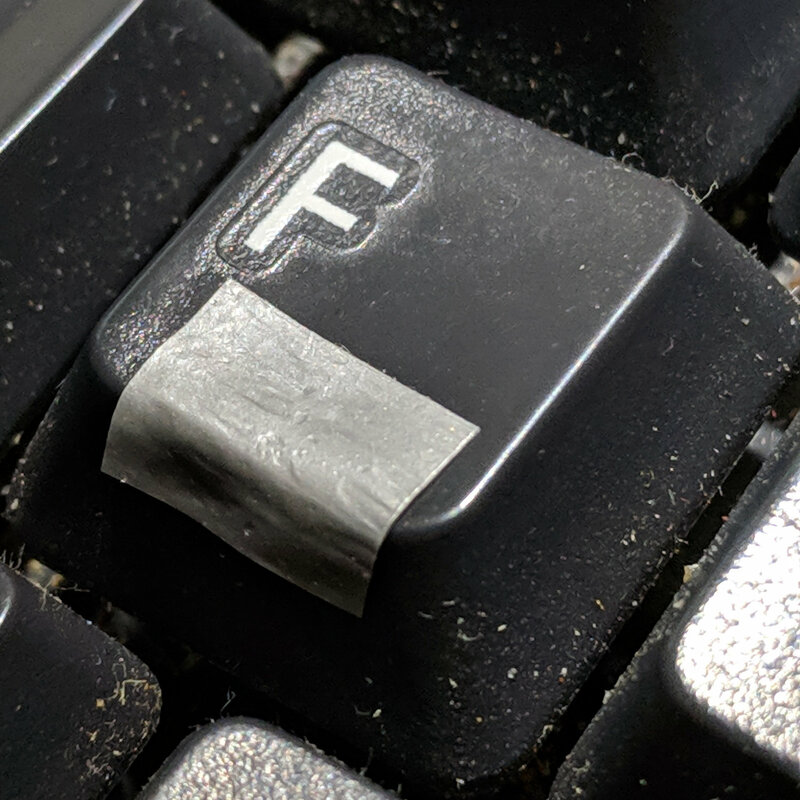 In round numbers, the keyboard is all of two years old and that little ridge is pretty much history. Early returns suggest one layer isn’t quite prominent enough; some iteration will be in order. 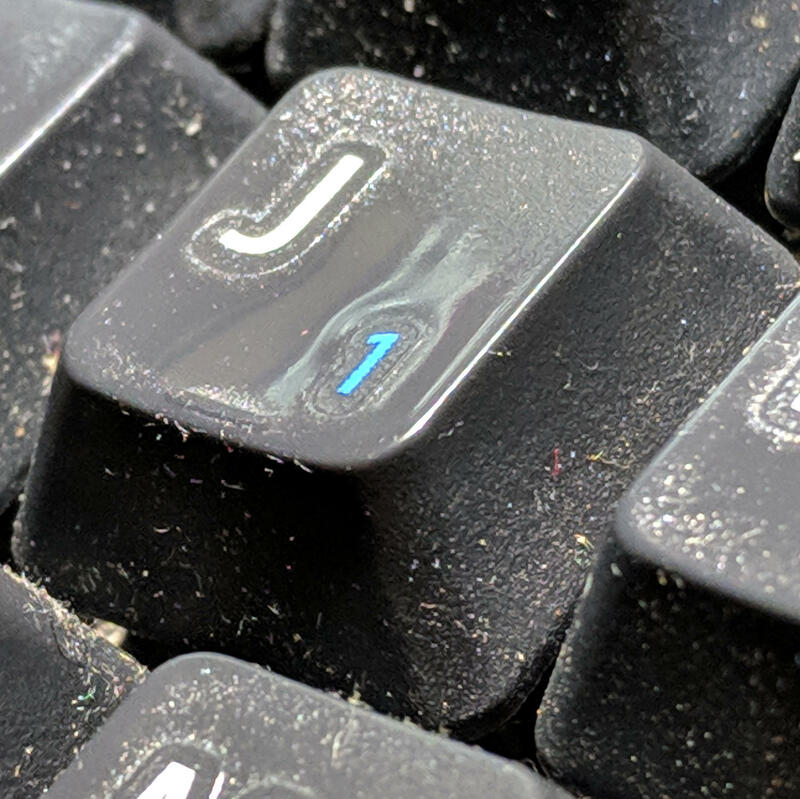 And, yeah, I should yank the keycaps for some deep cleaning.